Posted in: Christianity, New Testament, Religion, Revelation, Spirituality. Tagged: book of Revelation, Christ's Church, Christianity, God, God's love, Jesus, New Testament, Religion, Revelation, The Church. Before we begin, Welcome to Revelation Speaks Lesson series. I am glad you have chosen to study the book of Revelation with us. If this is the first time you have seen this series, then I invite you to review the other lessons before completing this lesson. With each lesson building on what has been taught in previous lessons it is important to start at the beginning. You can click here and it will take you to the introduction page and previous lessons. At the end of this lesson I have me email listed so you can submit additional questions on this lesson or any previous lesson. Now let us begin! It is surprising to find that John was told to write these seven letters to the angels of the seven churches. Angels are mentioned often in revelation, and usually they are supernatural being. It seems foolish for God to ask John to write letters to supernatural, invisible, heavenly angels. “The explanation is that the word ‘angel’ comes from a Greek world ‘aggelos,’ which really means ‘messenger’ . . . in the ordinary non-supernatural meaning of the word. “At the time when Jesus asked John to write these seven letters, a Christian congregation had been established in each of the seven cities named. It is fascinating to read that these cities were so located on interconnecting Roman highways that it was possible to visit each of them in the order in which they are listed. “Are the seven messages general admonitions intended for everybody? Do they stand for seven successive phases in the experience of the whole church from John’s day to the end of the world? . . . Let us look at these possibilities” – God Cares Vol 2, p. 90. Before we begin, read Revelation 1:20 – Revelation 2:17. The above map shows the approximate locations of the seven churches so one can see that they could be visited by a circuit rider that would carry messages from one city to another. NOTE: We discover that the message or letters apply to everyone, everywhere. And so do the promises! However, the letters are addressed to “churches.” Of course, we make up the church; we are a part of that body. 2. When do the things that John saw start taking place? Revelation 1:1, 3. There is another important factor as to whether a prophecy comes from a true or false prophet. That test comes in how the one prophesying is living their life. If they are living their life in a way which is consistent with the Bible and if their teaching support the Bible and are found to be consistent with Bible teachings, then we can trust what they are saying to be from God. Galatians 5:25 and 26 give us those characteristics that a person that is prophesying should have. All through the Bible we are cautioned to be careful of those that teach false prophecies. How can we tell if they are true or false prophets? We can tell if their prophecy is consistent with the Bible. For any prophecy must meet the Bible test. Does it contradict anything written in Scripture and the more supporting text one can align with it the more sure its foundation in Scripture. What is a Prophecy? Simply put, a prophecy is history written in advance of the actual event. Some might call it a prediction, but a prediction is something that you or someone else is predicting to happen which is based upon your own findings or feelings. 4. What beginning and ending events in Christ’s life are referred to in John’s introduction to the seven churches? Additional Information: Obviously verse 7 is talking about Christ’s second coming, but there are three important details in this text. 2. Even those that pierced Him, crucified Him to the cross, will be present at His second coming. a. We will learn in a future lesson that there will be a special resurrection for those that were instrumental in the crucifixion. 3. Although you and I will be happily waiting God return, there are those that have chosen not to follow Jesus. Their name is not written in the Lamb’s Book of Life. Those people will not be happy to see Jesus return. Instead they will mourn and cry out for the mountains and the rocks to fall on them. a. Matthew 24:30 also states that every eye will see him and then all the tribes of the earth will mourn, and they will see the Son of Man coming on the clouds of heaven with power and great glory. NOTE: We have already discovered that the seven angels are messengers, are ministers who bring God’s message to the seven churches. 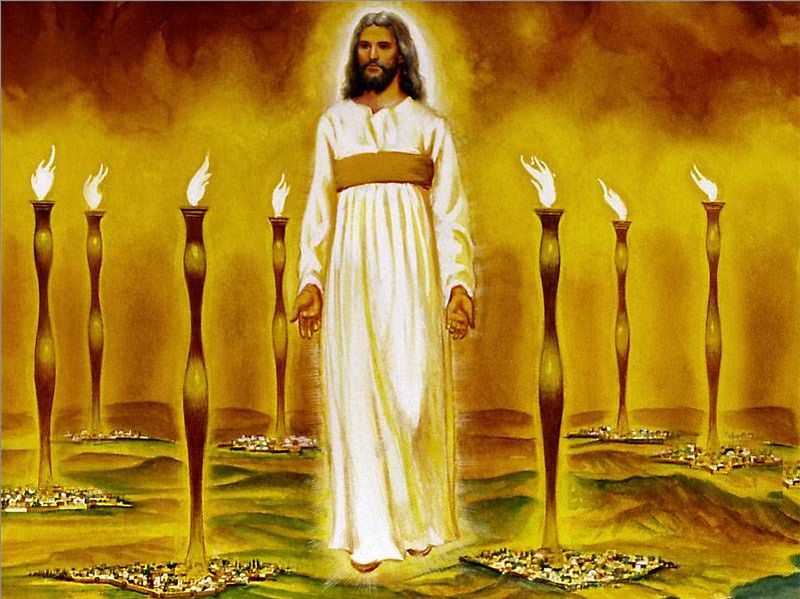 You will remember that we have discovered that seven is a very common number used in Revelation: seven angels, seven candlesticks or lampstands, seven spirits, seven heads, seven mountains, seven kings, seven trumpets, seven seals, seven churches, et cetera. Most scholars agree that the number seven represents completeness or perfection. The name Ephesus means “desirable.” No doubt it was very desirable, since it was located on a beautiful harbor in the Aegean Sea. Although it was not the capital of the Roman province of Asia, it was no doubt the most important city. It was situated on the east-west highway, which was advantageous to the commercial and cultural interests of the city. It was here that we find one of the Seven Wonders of the World – the temple dedicated to Diana, the pagan goddess of fertility. This is the church that Aquila and Priscilla, with the help of Apollos, the evangelist, raised up. Of course, Paul helped, and later John, the scribe of the Book of Revelation, pastured this church. It is thought that Timothy may have been the pastor at the time this message was given to the church. NOTE: Here we see that this church was commended for its untiring zeal and patience, as well as it loyalty to the doctrines of the Bible. They tested their teachers to make certain they were accurate in their doctrines. They were very protective of their faith. Wouldn’t that be a wise thing for every church today to follow? As we face the end time, we are told that there will arise false teachers claiming to be something they are not. Early Christianity had purity and power. 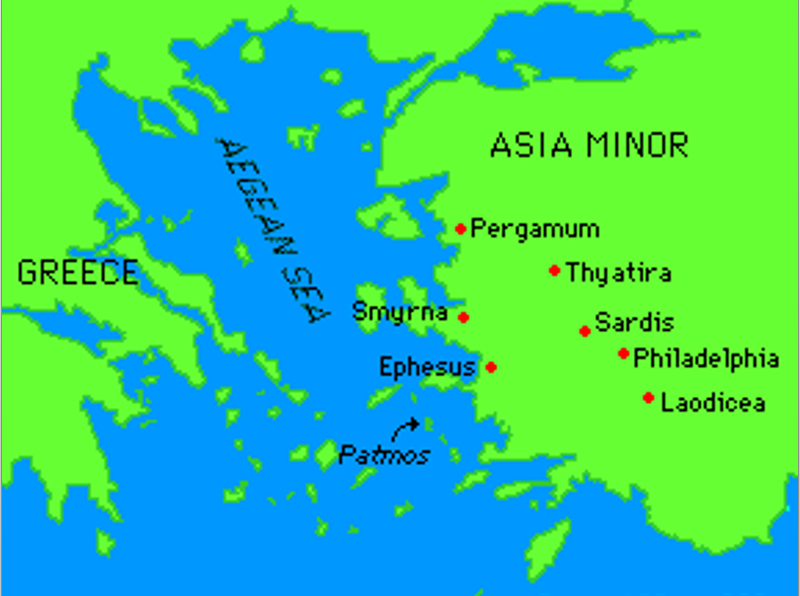 In the first century a faithful church proclaimed the message of Christ throughout the Mediterranean world. We often think of patience as someone who has a lot of patience with their children or in working with another. But when the Bible was written and as we see from the 1828 Webster’s Dictionary the word “Patience” means those that suffer of afflictions. Those that suffer afflictions at the hands of others. Why does this make a difference? Because the way you and I treat each other is dependent on how we are reflecting the character of Christ. The more reflect the character of Christ, the more patience we will need as we suffer afflictions at the hands of others. 7. But despite their zeal and labor, which rebuke was given to this church? Revelation 2:4, 5. NOTE: The church of Ephesus was a bright spot for Christianity, but as time passed, the members lost something very special – their first love! Their first ardent love for God and their warm affection for each other had dimmed. All labor is dead unless inspired by love. Jesus had said, “By this shall all men know that ye are my disciples, if ye have love one to another” (John 13:35). The light and love of their witness to the world was lacking. NOTE: The Nicolaitans claimed to be Christians but refused to live obedient lives. Their leaders taught that obedience to God’s law was unnecessary. They believed and practiced adultery, and they ate things sacrificed to idols. John spoke about a similar group of people in I John 2:4 He who says, “I know Him,” and does not keep His commandments, is a liar, and the truth is not in him. Revelation 22:14 is the last of the seven beatitudes of Revelation and gives to those who have Remembered their God, Repented of their sins and Returned to God the promise of the ability to eat of the tree of life. Genesis 3:22-23 shows how the right to the tree of life was originally taken away from mankind. It was the result of Adam and Eve’s sin against God. As we just learned in question eight, that he counseled his church to Remember, Repent, Return. Revelation 22:15 gives us insight into those that will not have access to the tree of life. They are those that are sorcerers, sexually immoral, murders, idolaters, and whoever loves and practices a lie. This church would pass through bitter persecution, but instead of destroying her, the fierce agony of persecution provided the deep soil in which the seed of faith could grow strong as a mighty oak tree. NOTE: What encouragement this must have been to this poor, persecuted congregation and its minister! Read: I Timothy 6:17-19, James 2:5 and Matthew 6:20-21. These three texts are words of warning to those who believe themselves to be rich in the things of this world. We are not to be haughty and trust in our riches, but instead trust in the living God who gives to us richly the things we should enjoy. Why? Because God has chosen the poor of this world to be rich in faith and because they are faithful, remember their Creator, Repent of their sins, and Return to Christ, they will be heirs of the kingdom which Christ has promised to those who love him. I really like how Matthew 6:20-21 states our condition. “For where your treasure is, there your heart will be also.” When we focus on the things of this earth, how can we possible focus on heavenly things? When we focus on earthly things, we take our eyes off Christ we soon forget, fail to repent and leave the rich blessings of salvation. The key becomes the eye, what is your eye focused on, earthly things that will gain you nothing of any permanence or heavenly things which will gain you everlasting life and right to the three of life. 12. What tribulations did this church experience? These texts bring to light something very important for Christians to understand. 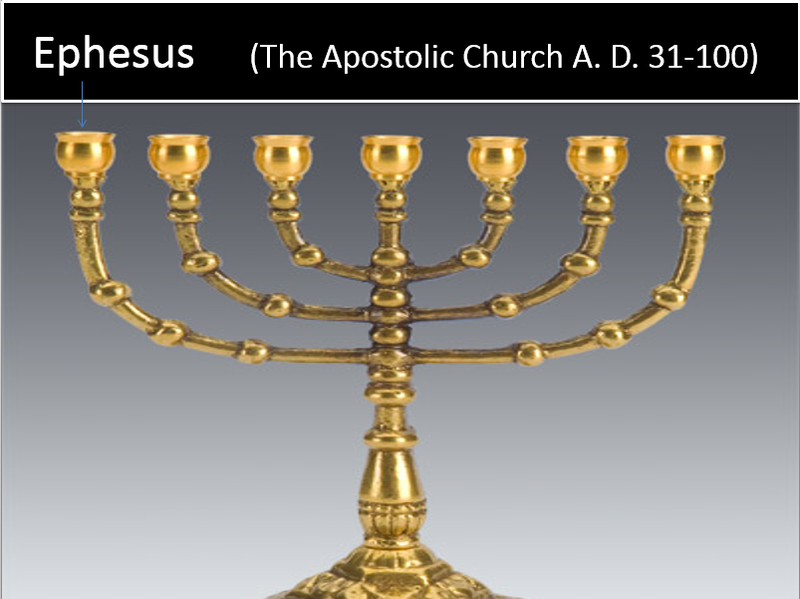 The Jews had been the repository of God’s true message to the world. They were to be God’s witnesses to all mankind of God’s goodness and mercy toward us. Yet they failed, they failed because they refused to set up a personal relationship with their heavenly Father. Christ explained to Nicodemus who was a ruler of the Jews that he needed to be born again. Christ was not speaking of a rebirth from a mother’s womb, but that all need to have their heart changed. Unless one is born of water (baptism) and spirit (the power of the Holy Spirit working within you to perfect your character) you cannot expect a change. Just because one calls themselves a Jew or a Christian does not necessarily mean that they are truly a Christian until their heart has become changed. It is not what I outwardly say that shows who I am, it is how I act and the words I say when only my family are around that tells who I really am. The Jews professed to be circumcised and true followers of God, yet their actions showed that they were following the leader of a false synagogue and that leader is Satan. Answer: Be faithful until Death, Receive Crown of life, not hurt by 2nd death. 2) To those who are faithful unto death. They are Christians who would rather die than lie, commit adultery, trample on God’s Sabbath, or steal. For those who are suffering persecution among us we need to shepherd them. Give them encouragement. We are not to Lord over them but willingly serve them giving them guidance and love. Jesus knows the affliction and poverty of the church in Smyrna. The members of the church are in dire peril. In Greek, affliction means a serious tribulation, under the pressure of a burden that crushes. This pressure comes from outside, namely from the demands for emperor worship and the malignant slander of the Jews. Second, the members are in extreme poverty. As the Greek text indicates, they possess nothing. Their poverty is undoubtedly the result of the persecution that church is going through. It certainly contrasts with the wealthy church of Laodicea which boasts of its material riches and is in need of nothing; but it possessed nothing of spiritual things. (see Revelation 3:17) The Christians of Smyrna lived in one of the wealthiest cities, and yet they are extremely poor. Although poor in material things, however, they are rich in grace and in faith. 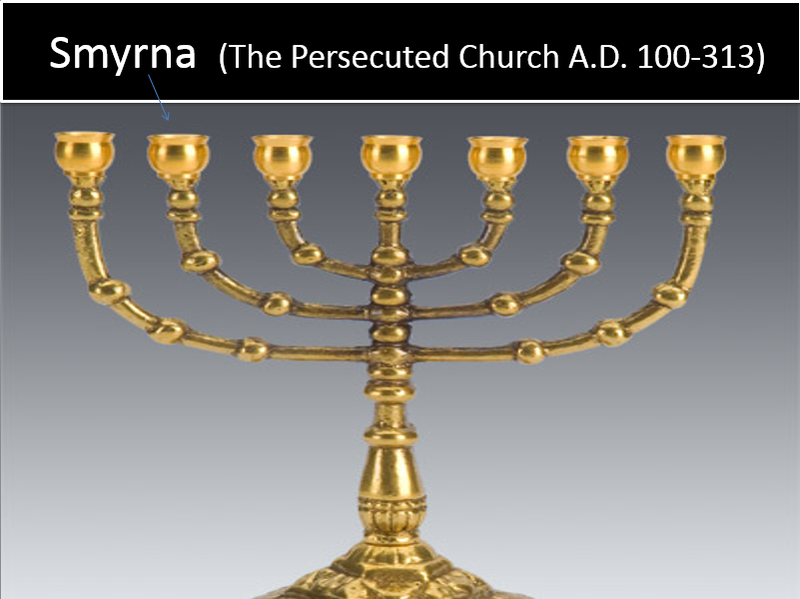 The experience of the church in Smyrna coincided with the severe persecution of the faithful Christian church throughout the Roman Empire during the second and third centuries. Historicist interpreters have generally applied the “ten days” verse 2:10 to the notorious intermittent imperial persecution (A.D. 303-313) initiated by Diocletian and take over by his successor Gallerius. This period was also characterized by further departure from the simplicity of the gospel. In such a way, the church in Smyrna could represent the period in church history from the beginning of the second century until approximately A.D. 313 when Constantine the Great issued the famous Edict of Milan granting Christians religious freedom. The city of Pergamos is called “Pergamum” by some writers. Pergamos means “height” or “elevation.” This city was located north of Smyrna on a high mountain. It was a famous cultural center with a tremendous library of scrolls. It had several pagan temples – the greatest was the temple dedicated to pagan gods and the worship of roman emperors. It was a rather sophisticated city – the capital of the roman province of Asia. Jesus said, “I know where you dwell.” IN other words, He was saying, I understand the pagan environment and temptations in that place and I’m pleased that you have not denied your faith. 14. What was Jesus’ commendation and His rebuke for this church? Revelation 2:12 – 15. Antipas was against the ruling authority of Rome. For that he suffered a martyrs death. Balaam professed at one time to be a prophet of God, but allowed greed to get in his way. He was asked by the kings of Moab and Median to place a curse upon God’s people. God prevented Balaam from cursing the people of Israel. But Balaam didn’t give up, he devised a plan in which he got the people of Israel to commit sexual immorality with the nearby religious prostitutes of Moab and Midian. As God did not put up with sexual immorality in the times of the Israelites, he will not put up with it in the last days of earth’s history. 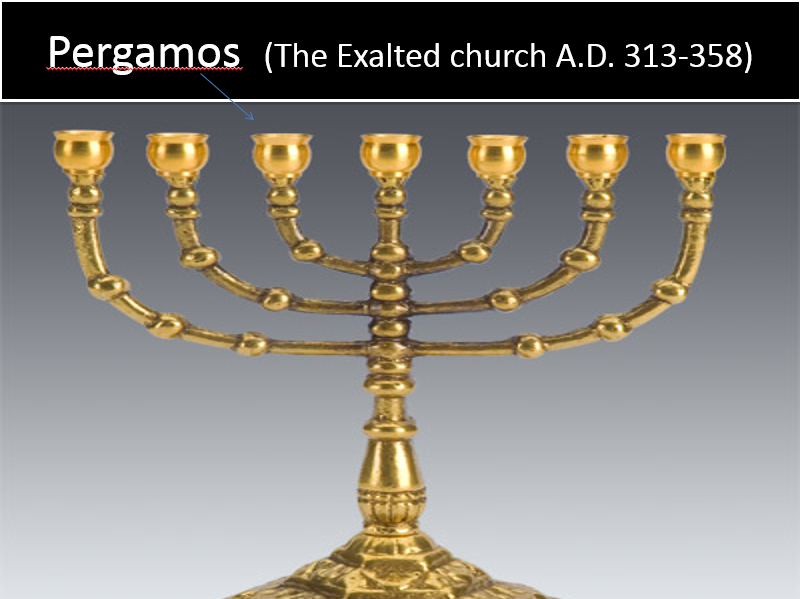 Balaam was the propagator of a false religion and false teachings, Revelation 13:1-2 gives us the hint that there is another religious, political entity that throughout earth’s history has been the mother of false teachings and drawing people to commit idolatry. New Name: In the Bible a person’s name often stands for his character, and a new name would indicate a new character. The new is not patterned after the old, but replaces it and is different from it. Here the Christian is promised a “new name,” that is, a new and different character, patterned after that of God (cf. Isa. 62:2; 65:15; Rev. 3:12). No Man Knoweth: The experience of spiritual rebirth, of the transformation of character, can be understood only by personal experience. Attempts to explain this experience to a man who himself has not been born again can never convey a true or complete picture of it (cf. John 3:5–8). I want my life to be a bright spot in this world so that other might be attracted to Jesus and His truths. I choose to be an overcomer and stand “faithful unto death” for God and His word. Irenaeus, Against Heresies 1.26 ANF 1:352.